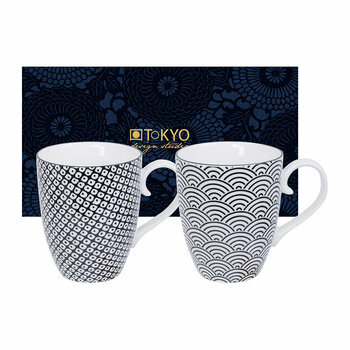 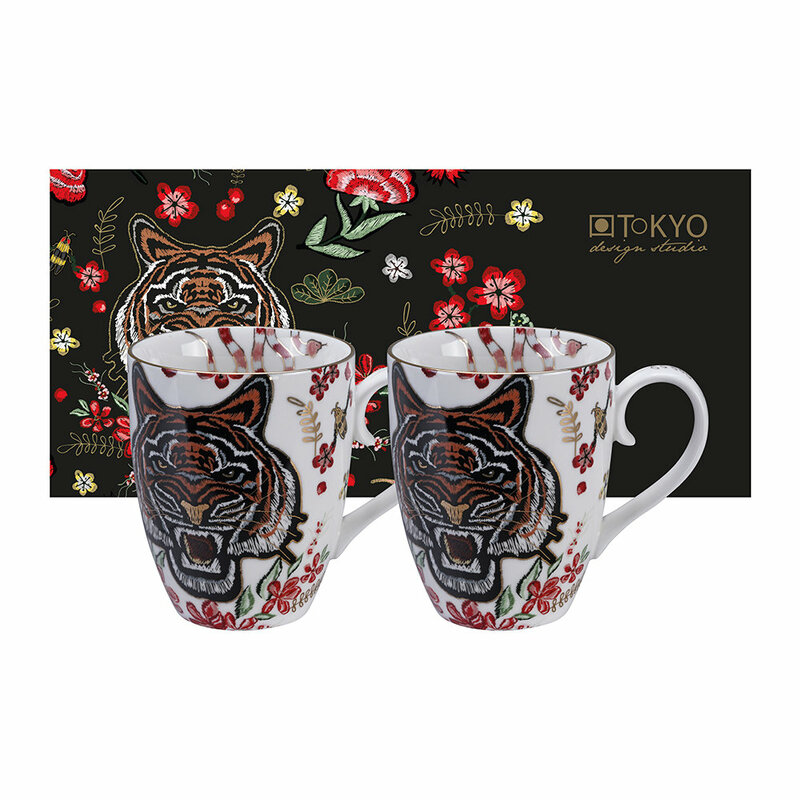 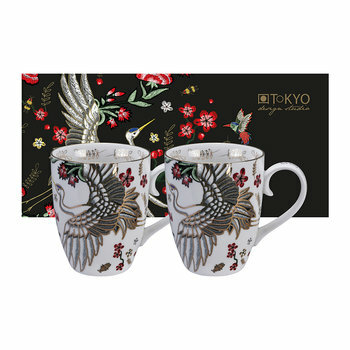 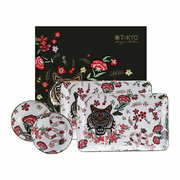 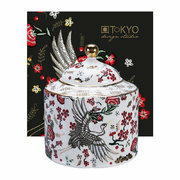 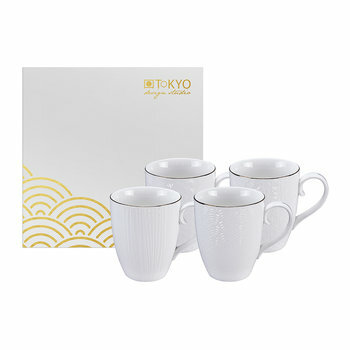 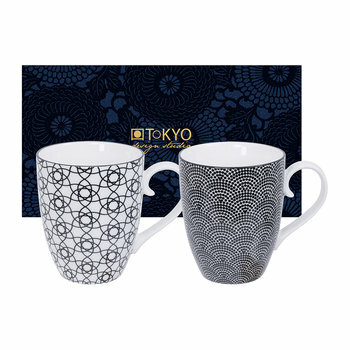 Complete an elegant coffee table with this set of two Magical Tiger mugs from Tokyo Design Studio. Made from crisp white porcelain, these mugs have been adorned with stunning Magical Tiger illustrations and finished with golden details. 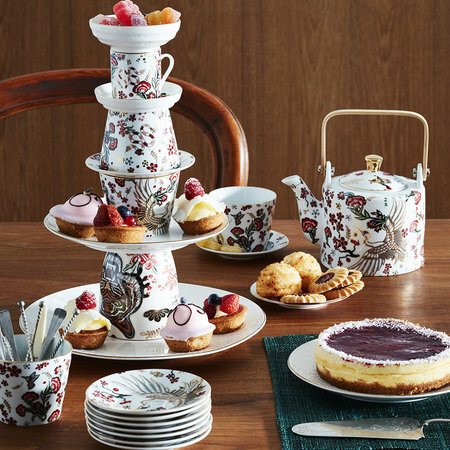 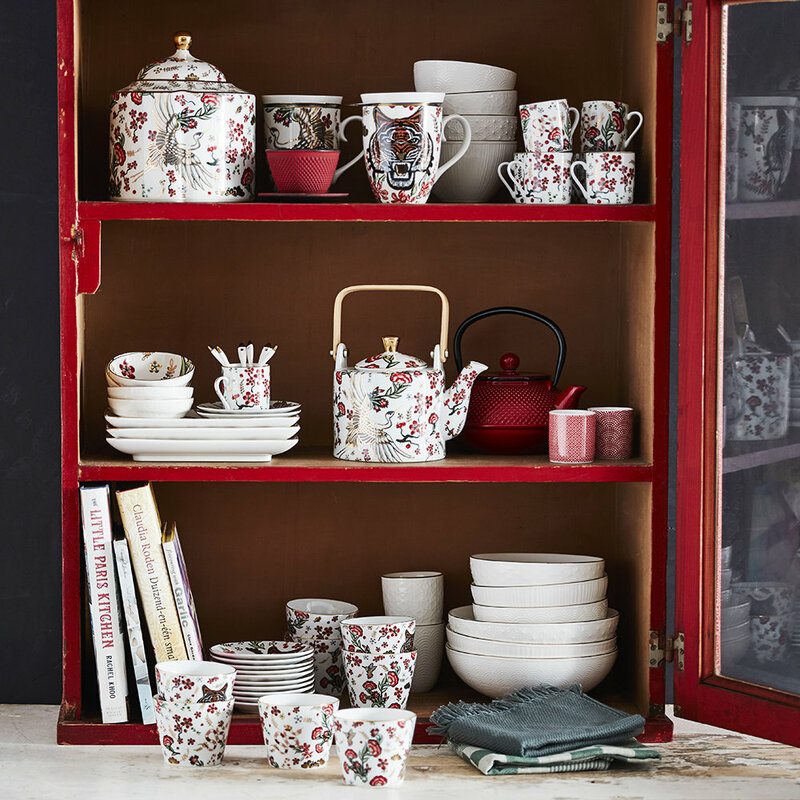 Pair with complementing tableware to nail the look.